Bump Stock Ban is Days Away. What Will Owners Do? In this March 15, 2019, photo, Ryan Liskey displays a bump stock on top of his AR-15 at his home in Harrisonburg, Va.
David Lunsford is an avid gun owner with a firing range on his Texas spread. 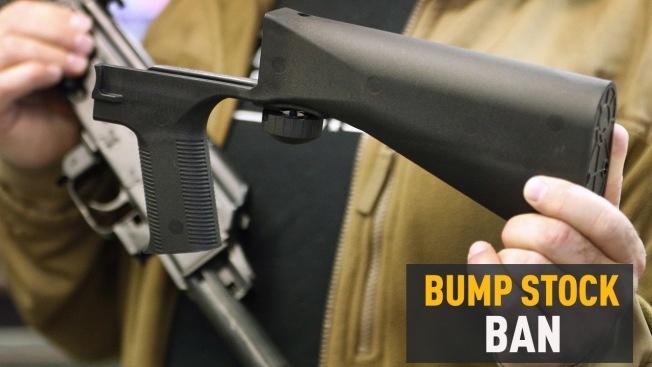 With bump stocks about to be banned by the U.S. government, he grudgingly decided to sell off his and let someone else figure out what to do with them. The bump stock — the attachment used by the killer during the 2017 Las Vegas massacre to make his weapons fire rapidly like machine guns — will become illegal on Tuesday in the only major gun restriction imposed by the federal government in the past few years, a period that has seen massacres in places like Las Vegas; Thousand Oaks, California; Sutherland Springs and Santa Fe, Texas; and Orlando and Parkland, Florida. President Donald Trump said in a March 23 tweet that the Department of Justice will ban bump stocks. YouTube has updated its policies regarding videos featuring firearms. The company will now prohibit videos made to sell certain firearms and firearm accessories, as well as videos that demonstrate how to manufacture or install certain types of accessories, such as bump stocks, high-capacity magazines and silencers. "We think it's really dangerous for a regulatory agency to be able to just turn on a dime. 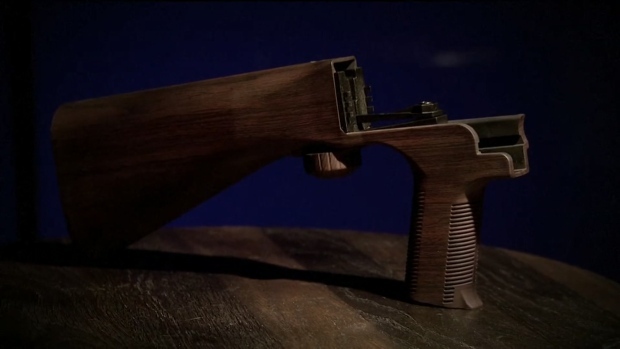 For 10 years they said that bump stocks fit within the law, they were perfectly legal. And then they reversed themselves and said, `Oh, this piece of plastic is a machine gun,"' Pratt said. "If they can do that and wave the magic wand, they can say anything is a machine gun. It's like banning smoking by declaring cigarettes are sticks of dynamite."